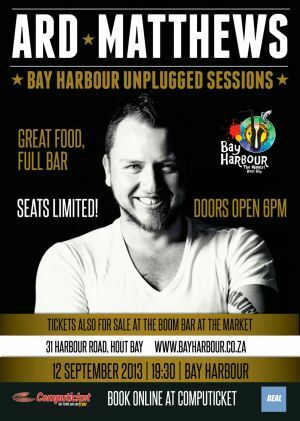 The Bay Harbour Sound Stage is set to host the third artist in the Unplugged Sessions, Ard Matthews, on 12th September. As with the sell-out performances of Prime Circle and Johnny Clegg, this evening promises to be filled with energy, vibe, stories and powerful music. 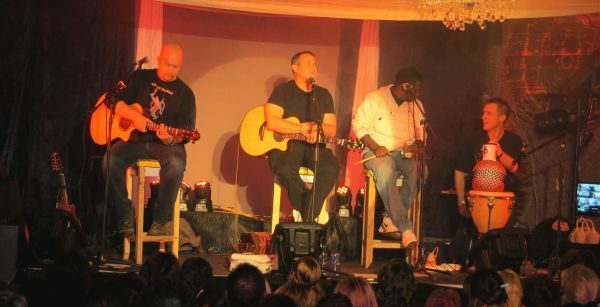 After the incredible shows of Johnny Clegg and Prime Circle, we are proud to announce another great act on the Thursday 12th September, Ard Matthews. Travelling frequently with Just Jinjer, Ard and the band wowed audiences all over the world. After returning to South Africa, Ard decided to pursue a solo album in 2010. Recorded predominantly at his beach house in Durban, this album is a landmark to both his home country and abroad, due to brand new tracks, a fierce independency and some formidable life experience behind him. Proudly hosted at the BayHarbour Market in Hout Bay, these music sessions provide a very intimate setting where you can really get to know your favourite artists by candlelight, through their storytelling as well as their songs. Selected food stalls will be open as well as a full bar, so come early, grab a seat (first come, first served), and unwind by the fire. Limited tickets are available. Price: R200 from computicket of Bay Harbour Boom Bar. 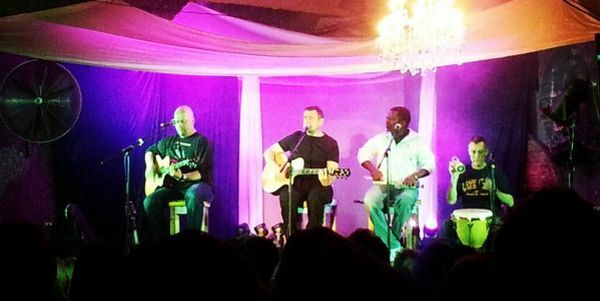 DO YOU WANT TO WIN TWO TICKETS TO SEE ARD MATTHEWS LIVE & UNPLUGGED? Post by Cape Point Route. The Bay Harbour Sound Stage at the Bay Harbour Market, Hout Bay is a popular platform SA’s musical talents to showcase their abilities. The market attracts a wide-ranging audience plus those with a keen interest in all things home-grown and consciousness for recycling! From the vivacious colours of local arts and crafts and the delicious scent of freshly baked bread to the melodic tones of an animated guitarist or the festive banter of local traders, the Bay Harbour Market in Hout Bay is an embodiment of creative South African energy and vibrancy. A bustling and busy market, this weekend wonderland of exquisite art, craft, fashion, food and music is a gathering ground for people of all ages and cultures. Bay Harbour Market: Bay Harbour Market is open for trading from 5 pm to 9 pm on Friday; and from 9.30 am to 4 pm on Saturday and Sunday. Entrance is free. This entry was posted in Entertainment and tagged Ard Matthews unplugged, Bay Harbour Market, Cape Town, Hout Bay, Live music Cape town, Unplugged Session, Unplugged Sessions. Bookmark the permalink.